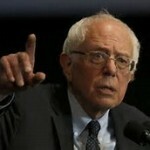 Bernie Sanders can’t pass single-payer | Pulitzer Prize Winner Cynthia Tucker | Journalist. Professor. Progressive. It’s an excellent idea. The United States is the richest country in the world, and it ought to grant every citizen guaranteed access to doctors and hospitals. That’s what Canada, Japan and the countries of Western Europe have all done. Here’s the rub: They won’t — at least not in the systematic and sustained manner that would be required to bring about that sort of, well, revolutionary change to the American medical-industrial complex. There’s a reason that the U.S. doesn’t have “Medicare-for-all”: politics. Do Sanders and his supporters remember the epic battle to pass the Affordable Care Act? Democrats had been trying to pass a version of universal health care since the days of Franklin Delano Roosevelt. But conservatives have fought every proposal that would increase access for ordinary Americans, including Medicare; Ronald Reagan, then a neophyte political activist, toured the country campaigning against it. Bill Clinton made universal health care a cornerstone of his presidential campaign in 1992, and he appointed his wife, Hillary, to head a task force to propose legislation after he won. They tried mightily to pass it, but conservatives denounced it, and the insurance industry spent millions to defeat it. That’s why President Barack Obama brought the insurance industry on board when he started toward the Affordable Care Act. He knew he needed their support to have a prayer of passage. So the ACA preserves the business of selling health insurance through private companies. Still, it has helped millions of families; nearly nine million more Americans had health insurance in 2014 than the year before, according to government data. Moreover, the ACA prevents insurance companies from banning patients because they are sick and prohibits insurers from placing “lifetime caps” on the amount of money any person can collect for health care. Would a single-payer plan have been even better? You bet. But listen to Obama’s former aide, David Axelrod, describe the difficulties of trying to pass such a proposal. Still, the ACA did not get a single Republican vote in the end — not one. Republicans are still trying to repeal the law, taking more than 60 votes in Congress and going to the Supreme Court with challenges. Most of those Republicans will be easily re-elected to Congress. Given recent history, it’s clear that Sanders’ plan would face very long odds — and that’s before details become clear. The Vermont senator proposes an extraordinary range of patient care — dental and vision coverage, mental-health care, long-term care — while, he says, saving trillions of dollars. Many health care experts say that can’t be done, so health care spending would likely increase. You don’t have to be a conservative voter to fear where that would lead us. If Vermont’s audacious senator has a plan for overcoming an ultra-conservative GOP caucus in Congress, a right-leaning U.S. Supreme Court and millions of voters who still flinch from the word “socialist,” he ought to lay it out. It would be quite a revolutionary plan, indeed. Bar the poor from emergency rooms? Why waste time with this sort of commentary. We know the what, who, when and where; we really need to understand or shine the light in detail as to why Republicans are so contrarian on this issue of single payer healthcare. Just a thought ! Read your column in Enterprise-Record Chico, CA. The American political mood has changed dramatically since 2010. More folks are intensely aware of income inequality threatening our democracy. Also, despite the benefits of the Affordable Care Act, many of us face increasing premiums , escalating deductibles, and discouraging co-pays while our incomes remain flat. We’re learning about and realizing that the single payer model is the only one that can increase the quality and comprehensiveness of health care that is also affordable for individuals, families, businesses, and the country. Many economists actually support the fiscal feasibility of single payer. Those that don’t ignore some key cost drivers, such as the profiteering of the insurance industry. Just as millions are supporting Bernie Sanders through financial contributions and volunteering, they would provide the sustained public advocacy that would make the drive for single payer successful. This is the type of social movement that led to the abolition of slavery, women’s suffrage, the enactment of civil rights legislation, and the tremendous LGBTQ gains. One of the reasons that Bernie’s proposal has stimulated heated debate is that the movement towards single payer is finally being taken seriously. I agree with your assessment of the current political climate in Washington, DC. I also agree that an attempt to gain universal healthcare coverage in the US is a giant leap from what our current system is. My experience of the current system is that yes, it is affordable for some – especially those that are generally healthy. However, for folks like me with multiple medical problems, the ever-increasing co-pays, deductibles, and the tiered form of pharmacy coverage forces one to sometimes make a decision between some necessities of life like clothes, and food and the purchase of medications. Yesterday I spent an hour on the phone trying to determine why my pharmacy could not refill my prescription. It took that long to determine that the two computer systems were not communicating effectively. Can you imagine operating a pharmacy, or a medical practice, with as many health plans as we currently have – all with different “preferred drugs” and referral requirements? How many dollars are being spent to pay for staff to deal with the various payment issues. Plus, physicians cannot prescribe according to insurance coverage as there are simply too many formularies. This forces the patient to feel caught in the triangle of communication with both the insurance company and the physicians office. A single-payer system would eliminate many of the frustrations for physicians and other healthcare providers thereby possibly reducing some of the healthcare costs. Similarly, with a universal payment system, the government could negotiate costs of pharmaceuticals and reduce co-pays for consumers. Finally, it is the 20% of those with chronic illness that creates highest cost of coverage. Eliminating some of the frustrations and making medications more affordable could increase compliance with treatment – which would further reduce costs. As a former registered nurse with experience in the Quality Improvement field in the managed care industry, someone with experience receiving care in the Canadian system, and as a current Medicare Advantage consumer, the current system remains broken and leaves too many loop-holes for folks to fall through. I agree with Senator Sanders that it is time for the voice of we the people drown out the noise of the healthcare corporations. By focusing on Obama Care Ms Tucker more concisely makes Hillary’s argument against Sanders repetition of ideal solutions to obvious, real world injustices, ala Ralph Nader. Here in Madison, if progressives had a mind to, the might add our own cautionary tale, about Sanders pied piping and dependence on a “political revolution” to achieve his goals. Five years ago Wisconsin progressives learned a bitter lesson about one’s reach exceeding one’s grasp. Not that the “Recall Walker” movement was in vain. We have to fight against injustice wherever, whenever we see it. The problem is the problems really begin when the revolution turns out to be a flash in the pan and all that’s really been accomplished is a good time for a lot of folks whose lives haven’t changed nearly as much as that of those who were and remain skeptical about the privileged progressive community’s level of commitment beforehand. Tucker explains very clearly that absent Sanders’ groundswell of instant political acuity, there is little hope of realizing his socialist dreams. 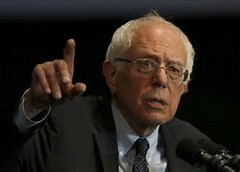 Millions who have healthcare today because of Obama’s incremental, reality based foundation will be thrown on the rocks when it crumbles under the weight of Sanders’ all or nothing approach. Progressives had this lesson here in Wisconsin, where its Governor and conservative statehouse have rolled on with their agenda of dismantling our state’s hard won progressive policies. Yet too many will not learn it and will instead look forward to the next giant to slay because simply making the windmills turn in our direction is too mundane. While I agree with you that the politics of single payer are hard, it is not fair to say that it can’t happen because the people won’t demand it. Many important political reforms have occurred in this country even when deemed impossible with very recent examples such as marriage equality and legalization of marijuana in many states. What is unrealistic is a health care system that continues to rely on private health insurance companies and Big Pharma to actually provide quality care to the American people without bankrupting individuals and the country. If not now, when? If not us, who? i cannot believe that universal health care is an impossible dream for the people of the united states. i will not believe it, no matter how many times supposedly “realistic”, “reasonable” people want to throw cold water on this common sense, compassionate idea. we seem to be able to afford as many war toys and wars as we can dream up, don’t we? what would happen if we put all that spending toward a positive program instead of the very negative and dehumanizing war without end that this country has become so inexplicably fond of? go see michael moore’s new movie, “Where To Invade Next.” even if you don’t agree with everything he shows you, you owe it to yourself to at least check out all the possibilities! By your logic, why elect any non-Republican at all, with such defeatism? Polls have shown that the public option and even single payer have been popular. Canada also had opposition to single payer but the whole point of politics is to debate on the best policy and make it work. What is actually unrealistic is that the ACA is sustainable. Our broke system does not do enough to control costs and already the federal and state govt pays for a large percentage of medical care in the US through an inefficient and patch-worked system, but one that not only results in administrative waste, out of control profit driven drug industry and private insurers who have positioned themselves as middle-men for profit. Meanwhile, while we have record inequality with most Americans with less than $1000 in the bank, people are under the illusion that they have access to health care with high deductible plans they can’t afford to use. This will continue to produce that results that place us near the bottom of OECD countries while we spend more than all other countries. Social security and Medicare were opposed as too bold and considered unrealistic when it was championed and implemented, but have changed history. At this point where we face economic crises, both personal and fiscal, it is time for a change. Single payer is the solution. Unlike many candidates that have laudable goals without practical underpinnings the Sanders healthcare plan is neither “vague” nor “naive”. He advocates HR 676 (Improved Medicare for ALL) introduced each session since 2003 by Representative John Conyers of Michigan. Unlike the ACA (1200 pages), HR 676 is succinct (a mere 30 pages) and spells out in great detail (enough for the Congressional Budget Office to score the concept of Universal Healthcare are feasible without raising taxes). The concept is based on the Medicare program which has, for the past 50 years, controlled costs while at the same time being widely accepted by by patients and providers. You are right when you say, “There’s a reason that the U.S. doesn’t have “Medicare-for-all”: politics”. Health insurance and drug companies are the most powerful lobbies in our nation. Since campaign dollars equal speech and corporations are people, it is no wonder any effort to curtail profit-making from our health runs into a stone wall. Every other industrialized nation has overcome this problem (except us). Hopefully this isn’t what is meant by American exceptionalism. Private health insurance is 10 times less efficient than Medicare. Americans pay 40% more for drugs than we need to. Folks who want to learn more should watch The Healthcare Movie (how Canada got Medicare) or Fix It (a new business case film). For 25 years Physicians for a National Health Program (PNHP), a group of 19,000 doctors, has advocated moving from Multipayer to Single Payer. Let’s wake up and get this done. Why is the United States so far behind France, England, Japan, Taiwan, and many other developed countries? If other countries can provide affordable health care for all, there must be a reason why our country remains less-developed than much of the rest of the world. It is because the corporations, which control most of our finances, don’t want to lose control of our for-profit health care providing system. Corporate control of television, radio, press, and other media get most of our attention. They don’t want anything to limit the profits they can make from our illnesses and injuries. When the Revolution of Bernie supporters elect in more liberal Bernie style people into Congress then it can pass. We are already behind runs at Debbie WS’s seat (because look at how she is rigging the DNC). We are fed up! The ACA was changed so much before passing that my employer Pais insurance had sweeping changes this year. We are significantly worse off now! With a Special Needs child. Single Payer will occur or we will vote out anyone against it. One additional disagreement: It was the power of the healthcare industry lobby and a few Senators that blocked consideration of a public option. The consensus was not “national” – it was bargained away in the drafting of the ACA. This sound like “We can’t.” As well, it sounds like a thinly veiled argument in support of the status quo and Hillary Clinton. Agreed we have not, but we can. Yes, politics and the money of the insurance companies are in the way. Except for the politics of a public option, it had the support of the American people during the massive debate over the ACA. If we ask ourselves as a nation one very fundamental question we will answer it with yes we can. That question is. Do we as a nation really accept that we cannot get this done when there is still some 29 million people uninsured, and more under insured, and other countries have proven to us that it can be done? Furthermore, when we compare our health outcomes in life expectancy and infant mortality, while paying more than any other industrialize country, we should be saying, “We can and must do this.” One more thing you are correct about and that is Bernie Sanders will not get it done, alone. Rather it will be Bernie Sanders backed by those who care that will get it done through activism and collective effort. I am a Medical Student and not naive to the realities of our healthcare system, and will continue speaking out and working toward national healthcare until it happens. It was not naive when Taiwan made the switch to Single Payer twenty years ago, nor is it naive to see how much less the rest of the world spends on healthcare for better health outcomes. We need to loose the gridlock that insurance companies have us under and provide healthcare to our country in the only humane way- Single Payer, national healthcare. Well the media is so out of touch that they are constantly denigrating Sanders candidacy. Who would have ever guessed he would have won NH and tied Iowa! I think Axelrod’s comments illustrates how out of touch Democrats are from their constituents and the sentiment of the American people. The Dec 2015 Kaiser poll shows that 81% of Democrats support Medicare for all and even 30 percent of Republicans support it. Compare that to the continuing unpopularity of the ACA. the so called “public option” depended on the vote of Dems like Joe Lieberman, from a state known as the Insurance capital of the country. Don’t you think half of the Dems aren’t bought off by the insurance industry? If Congress was truly representative of the American people, we would’ve had single payer a decade ago. That aside, Americans always manage to do the right thing after they have tried all the wrong solutions first. The national debt will force us to really consider our healthcare entitlement programs. Our only choice to control health care costs is single payer . Bernie Sanders candidacy is just a step ahead of where the media is which is why he is a leader and why America is ready for change. “Myth: The goal of establishing a single-payer system in the U.S. is unrealistic, or ‘politically infeasible.”’Reality: It’s true that single-payer health reform faces formidable opposition, especially from the private insurance industry, Big Pharma, and other for-profit interests in health care, along with their allies in government. This prompts some people to conclude that single payer is out of reach and therefore not worth fighting for. While such moneyed opposition should not be underestimated, there is no reason why a well-informed and organized public, including the medical profession, cannot prevail over these vested interests. We should not sell the American people short. At earlier points in U.S. history, the abolition of slavery and the attainment of women’s suffrage were considered unrealistic, and yet the movements to achieve these goals were ultimately victorious and we now wonder how those injustices were allowed to stand for so long. What is truly ‘unrealistic’ is believing that we can provide universal and affordable health care, and control costs, in a system dominated by private insurers and Big Pharma. No doubt, adopting a single-payer system will not be easy. But it absolutely is do-able. Just ask the dozens of other countries that have made the transition – for the better. Was it a naive fantasy that women would get the vote in America? I guess at one time it was. Was it a naive fantasy that slaves in the US would be free? Yes, I guess at one time it was. But people who believed in these ideals worked hard, and these fantasies became reality. Same with single payer. Let’s see.. when your health is at stake, do you want the primary focus to be on what’s best for you or for your insurance, pharmaceutical or medical device company? Sometimes situations have to get worse before people demand improvements, and we’ve already seen the Martin Shkreli effect dribbling in. The public has taken notice how Congress holds these “tsk tsk” hearings, but essentially do nothing more — so it’s up to us to vote in single payer any way we can, whether it’s incrementally, or all-at-once a la Sanders. Look no further than France (although plenty of European countries along with Canada can be sussed out for positives to emulate and negatives to avoid) for an example of how to run national healthcare. France blends private and public services, has a record of consumer choice, satisfaction, and health — all with much lower expenditures compared to the U.S.
Why should hard working Americans worry about losing their homes to medical debt (even when they have insurance)? It’s ludicrous, unnecessary, and inhumane. To a great degree, no one can help it when they fall ill; healthcare is a right, not a special perk fashioned by lobbyists to enrich specific segments of industry. Wealth can be amassed elsewhere instead of preying on sick people. Ms. Tucker says in effect that getting to a single payer system a question of political will. I think that’s right. But people who support creating that will are not naive. Rather, people who oppose and obstruct creating that will are cynical, economically privileged, or both. Ms. Tucker may not be aware of it, but there is an actively organizing single payer movement “out here” that predates Bernie Sanders’ candidacy. Sanders’ candidacy is helping to build that movement, which is why I support him. Whether he gets the nomination or not, he is building the movement by breaking the media blackout by privileged media cynics like Ms. Tucker who refuse to educate the public about the *idea* itself. If Sanders were to be elected president, our movement would expand and mobilize behind his leadership. Would we win in his first term? Maybe not. Would we become a force to throw out obstructionists of both major parties? You bet. I trust you are wrong about single payer supporters being unable to prevail against private insurers and big pharma. The question of where the money will come from is purely idiotic. We already spend twice as much per capita on health care as any other developed country. So we are already paying for universal health care–we just aren’t getting it! Anyone who would rather pay a $900/month “premium” than a $200/month “tax” should not be allowed to run around outside without adult supervision. It is true that health care reform has been a long struggle but that doesn’t mean we should just give up and accept the shameful state of affairs where millions go without access to health care in the richest country in the world. As a physician for 40 years, I have seen patients who must choose between buying their needed medications and paying the rent, people locked in jobs they hate so they won’t lose their insurance and many with insurance that they cannot afford to use due to high deductibles and co-pays. We have passed legislation that was once thought impossible: gay marriage, votes for women, civil rights legislation. There are bills in Congress and several states for single payer plans and one of them will become the law of the land, and Bernie Sanders advocacy of them will make it sooner rather than later. Who are you to knock the advantages of a single-payer national health insurance program? You’re part of the media establishment that slants the news to obscure the facts that the public needs to know. This country has been having this debate for 100 years when former President Theodore Roosevelt first proposed the concept. Since that time we have learned that it is not a crazy idea, but an idea who’s time has come. the Patient Protection Affordable Care Act was a “cave in” to the medical industrial complex, and we see ample evidence that it is is not protective or affordable or sustainable. The USA is the outlier of the developed nations. We have the highest costs and the worst quality of care when we compare our results to other nations who have national health programs. We think we are exceptional as a people, but we are not if we can’t learn from other successful countries. We need Improved & Expanded Medicare for All for America. The argument that Medicare for All is impossible to achieve only serves the interest of insurance companies, Big Pharma and others profiteers that make US healthcare the most expensive and unequal in the industrialized world. Is it a coincidence the Clinton supporters are making the same argument? We need a president who will rally the American people to demand what is really needed. Of course it will take a mass movement to overcome the corporate opposition. To believe the Clinton line that we can have “Universal Health Care” by negotiating with insurance companies is folly. To believe that we cannot make health care a human right is to ignore the experience of dozens of countries. That is the difference between Sanders and Clinton. Bernie knows that only through mobilization and involvement of millions of people can we achieve what we need. Hilary is content to manage the continuing healthcare tragedy. Negotiating with those who profit from misery only confuses and disempowers the American people. Oh, so the other side beat us once so we should never try again??? Please, if our nation adhered to this, women and blacks would not be voting, 10 yr old children still working barefoot in unsafe factories..etc. The time is now, the middle class people are motivated and coming out in droves like never before …and they will still be coming out to help Bernie after he is president! Obama’s plan tried but it is a failed policy without the public option to drive down costs, leaving huge insurmountable deductibles blocking healthcare for average Americans. Even employers are tired of paying 1/3 to 1/2 Medical Insurance Premiums for their employee’s. Especially small businesses…this is their greatest expense. If the businesses of this country got behind single-payer system…there would be no stopping it. Your ill-written column and its lack of information would be the last column I would ever read! Instead of attacking a visionary like Bernie Sanders, I suggest that you go out and do your homework. Healthcare is NOT HEALTH. Big PHARMA in cohorts with Big Insurance monopolies are reaping profits on OUR ILLNESSES. They have no incentive to help us be well or they would go broke!!! We The People are much wiser about the fear mongering from people like Cynthia and Hillary that is promoted by the greedy CEOs–thanks to the age of “viral info” from the Internet. We have FACTS at our fingertips! it is apparent that “the powers to be” are more scared than they want us to be. ACA has resulted in more fees and increased premiums and more out of pocket expences yet with INADEQUATE coverages. WE CAN have a National Health care plan! AND WE WILL! POWER IN NUMBERS! Ride on Bernie! Please recall that the “epic battle” to pass the ACA, its supporters asked the people to turn out in droves to fight for a complicated, heavily compromises plan that is difficult to understand, leaves people vulnerable to insurance company exploitation, and fails to cover everybody and doesn’t adequately cover those that it does help. And guess what … no droves of people turning out. If you offer a health care financing overhaul that would eliminate the role of the so-called insurance companies, replace a patchwork of systems with dependable cradle-to-grave coverage, lift the burden on employers and cover everybody while saving substantial amounts, then the equation might change considerably. One way to make sure that it can never happen is to make the argument that we shouldn’t even try. That is the argument that this column makes: don’t demand, don’t lead, don’t fight … just submit. Every time I hear “we can’t pass single payer,” I think about all the other things we “couldn’t” pass. Many said we couldn’t pass the Civil Rights Act or Medicare. They said we couldn’t overcome institutionalized segregation, women couldn’t win the vote, and gays couldn’t marry. (Not to single her out because many politicians did this, but I even remember Mrs. Clinton opposing Gay Marriage. Then, opposing Gay Marriage became politically toxic. Suddenly she said she had always supported it. ) So we’ve done a lot that we couldn’t have. Looking at healthcare reform specifically, studies show a majority of Americans already support some kind of Medicare for All system. Many question the capacity of our nation to continue spending up to 18% of our GDP on healthcare – it’s unsustainable! Moreover, people understand the ACA has major problems. It left nearly 30 million Americans without health insurance. Millions more are underinsured, with such high out of pocket costs, they can’t afford to see the doctor even though they have insurance. The issues with the ACA disproportionately impact the most vulnerable among us. But in truth, whether privileged or not, Americans who do not have Medicare or Medicaid face a system with ultra-high out of pocket costs and ever-more limited choice of doctors. I want the next President of the United States to face the shortcomings of healthcare reform thus far and pursue innovative solutions that promote universality, true affordability, cost containment, personal choice and especially equity in healthcare. Dr. Martin Luther King, Jr. said, “Of all the forms of inequality, injustice in health care is the most shocking and inhumane.” It’s time to do something about it. It’s time for Medicare for All. if you can’t dream and don’t try, of course we will never have single payer! It will be impossible to pass single-payer through a GOP controlled HoR. Any opinion to the contrary is not based in reality. A rigorous study of Obtama’s two terms will certainly illuminate how a President can be neutered by a party that is determined to destroy his administration by any means necessary. If you are evenly remotely familiar with Americans For Tax Reform (Grover Norquist), you will know that about 236 representatives and 41 senators have signed the draconian, Norquistian pledge of “drowning government in a bathtub”. That is slightly more than half of Congress as it exists in the 112th edition. Remembering that not a single Republican voted for the ACA, it is not hard to see that a similar monolithic stonewall will be awaiting Sanders for his “government takeover/socialized medicine”…except this time, it won’t be just duplicitous demagoguery but actual truth. It’s ironic that some progressives have this fight the good fight mentality…until such time it is perceived that they won’t get everything they want…then they turn tail and go home. The Civil Rights movement didn’t turn tail and go home…and it was dealt MANY a hideous blow over more than a century of bloody struggle. There may indeed come a time that single-payer can make it through Congress…but that time is not now. In my opinion, progressives don’t have the stomach for a “real” revolution. They want the messiah who can leap all opposition with a single bound…a benevolent dictator through which all their Utopian fantasies will spring forth unfettered and undiminished.